Insurance is designed to help provide financial security and protection for some of life’s toughest experiences. It is not only meant to give you peace of mind as a policy holder but should also come through and deliver should you need to make a claim. 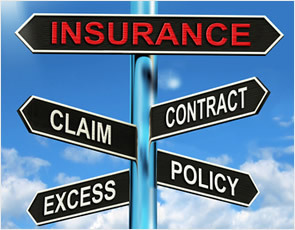 Your insurance policy may also need to help cover any costs you may be at fault or liable for, such as car accidents or accidents occuring on your property. If you find yourself having problems with your insurance company providing the coverage you think you deserve contact Michael’s Law Firm for a free case evaluation. You likely are not fully “on your own” like your insurance company is telling you. In handling insurance coverage cases in Ontario our insurance lawyers start with the proposition that the loss is covered, then look to the policy for support thereof. Most recently, Michael Lesage drafted the successful appeal in 1422253 Ontario Limited v. Coachman Insurance Co., 2013 ONSC 5740. Give our Toronto and Hamilton insurance lawyers a call at 647-495-8995 before you accept the conventional wisdom that the loss isn’t covered and that you’re on your own. For close to ten years founding lawyer Michael Lesage has been handling insurance coverage cases at both trial and appellate levels. Remember, we provide Free Case Evaluations and there are no fees unless we win or settle your case. Argued at Court by Chris Richard.